Faithfulness, or fidelity, is something we all strive for and expect in others. We trust our friends and significant others to be there for us through thick and thin, proving their love and devotion to us as they make our relationship a priority in their lives. Affection for others often prompts us to remain loyal to them, but true faithfulness requires commitment and perseverance. However hopeful we may be, fidelity can sometimes be very difficult, especially when it demands everything we have. Nevertheless, there's something noble about practicing fidelity in a world where bonds seem to be easily broken. Fidelity refers to continual loyalty to someone or something, often evidenced by reliability, trustworthiness, and ongoing support. When many people think of the word fidelity they think of the unwavering commitment between husband and wife. 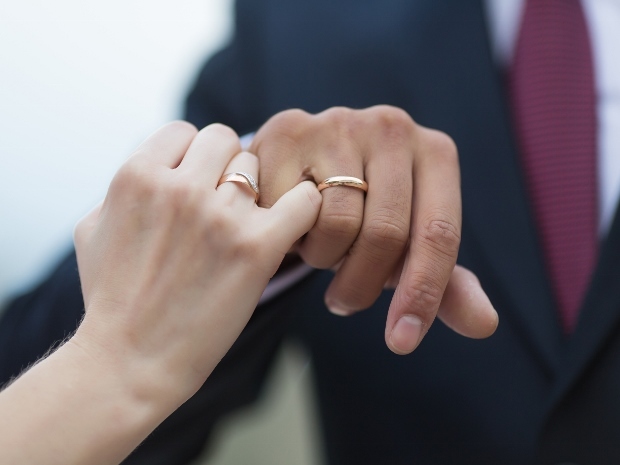 During a marital ceremony or union, both parties promise to love and cherish one another "until death do they part," usually with an emphasis on sexual fidelity. While this sense of the word most often is used to indicate allegiance to another person, people can show fidelity to a cause or organization with just as much ardor. Those who choose to serve their country in the armed forces are many times credited with displaying the utmost faithfulness, or fidelity, to their country. We can even see this sentiment in the motto of the US Marine Corps: "Semper Fidelis," meaning "always faithful" to the ideals and people they are fighting for. In every case, fidelity isn't something that you can see or sense in someone just by looking at them: fidelity is tested by actions over a long period of time. Because fidelity has a lot to do with truth and dependability, the word can also be applied to the degree to which someone or something adheres to facts or original information. For example, a journalist who displays integrity by only reporting what really occurred would be a reporter who practices fidelity. Any time there is a transfer of information from the primary to secondary (even tertiary) sources, the degree to which the imitations reflect the original can be measured with fidelity. For example, when a secretary records the minutes of a meeting she must be careful that her copy is loyal to the actual events of the conference, or else there will be negative consequences. In the world of music, fidelity is also used to describe how well a device, such as a stereo, receives and replicates the sound waves from the original signals. When a speaker plays sounds that are crisp and clear, with minimal to no distortion, it is accurately called a high fidelity (or hi-fi) sound system because it has remained faithful to the input signal. Whether you're talking about people or electronics, if you want to make sure your message is received exactly as you intended, be sure to choose a quality delivery system that will meet your expectations of fidelity. Example: Couples that have a long track record of fidelity often stay together longer than those who don't. Example: She copied her classmate's homework with so much fidelity that the teacher could easily see the resemblance. Coming into English in the 15th century, fidelity can be traced back to the Latin word fides, which means "faith." Denoting the confidence and reliability of an individual, this word slowly came to be used to describe inanimate objects that held true to their original purpose and design beginning in the 19th century. Eventually evolving into our modern word, fidelity could still be literally translated as the "quality of being faithful, or faithfulness." "Once [a cat] has given its love, what absolute confidence, what fidelity of affection! It will make itself the companion of your hours of work, of loneliness, or of sadness. It will lie the whole evening on your knee, purring and happy in your society, and leaving the company of creatures of its own society to be with you." Usually dogs are credited with bestowing fidelity on their owners; however, here we see that even felines, with their cold and disinterested stigma, can be just as loving and loyal when they devote themselves to a lucky human. Fidelity grows steadily and shows credibility. Loyalty and fidelity are virtues of constancy. Security is measured by the fidelity of your source of protection. The word infidel, aside from looking much like fidelity, has a lot more to do with loyalty and faithfulness than you might suppose. Sharing the same root, fide(s), with our fidelity, infidel takes the idea of loyalty and faithfulness and simply negates it (in-), turning it into a noun to denote a person who is not faithful. Meaning "one who fails to believe or adhere to a set of beliefs or codes," infidel is often used to label someone who is disloyal to or treasonous towards a particular faith or organization. Although it might be a stretch, audiophiles who find that their ears are disappointed with their new sound system could return the item, complaining that an infidel made its way into their house! Fidelity Investments, a large financial service company, has smartly adopted the word fidelity to advertise its long-term loyalty to its customers. Bring out the linguist in you! What is your own interpretation of fidelity. Did you use fidelity in a game? Provide an example sentence or a literary quote.